This article originally appeared in the February 2019 issue of Soundings magazine and is reprinted here with permission. 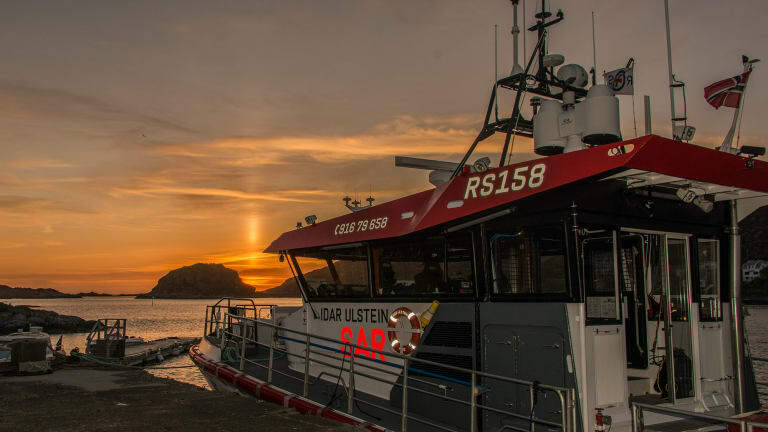 The RS 104 Oscar Tybring IV just arrived in Skjervoy, Norway, to take on nearly 700 gallons of diesel. We’re 240 miles above the Arctic Circle, and the Barents Sea is just to our north. It’s late October, it’s dark and everything has acquired a thin, invisible layer of ice. Capt. Odd-Arne Hermansen is in the wheelhouse, and engineer Andreas Leroy is on the stern, pumping fuel. First Officer Roger Pettersen is already on the dock, talking to Stig Traetten, the diesel supplier. I have permission to go ashore, but I have to step on a used truck tire hanging from the dock to get there, and it looks precarious. I’ve already slipped a few times, and I can see Pettersen’s shoeprint glistening on the tire—right where I need to place my foot. 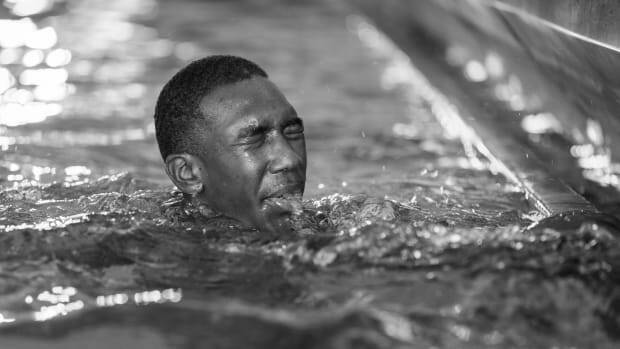 Hermansen’s words bounce around inside my head: “The water is about 4 degrees Celsius [39 degrees Fahrenheit]. If you fall in, your limbs will stop working in about 10 minutes, and you drown.” I step onto the tire. For Norwegians, cold water is a constant reality. The Gulf Stream prevents the sea from freezing, but not by much, and it’s one reason Norwegians take their boating seriously. It’s easy to perish in the sea up here, and it’s why, in 1891, the Norwegian Society for Sea Rescue was created. Norway has a long and proud boating history. The country gave birth to legendary sea explorers like Leif Eriksson, Roald Amundsen and Thor Heyerdayl. Oslo, its capital, is plastered with boat museums, the Norwegian Maritime Museum, the Viking Ship Museum, the Kon-Tiki Museum and the Fram Museum, which houses Amundsen’s polar ships. Gideon and Oscar Tybring IV in Tromso. With 1,600 miles of coastline and over 50,000 islands, water transport is integral to the country’s economy and history. 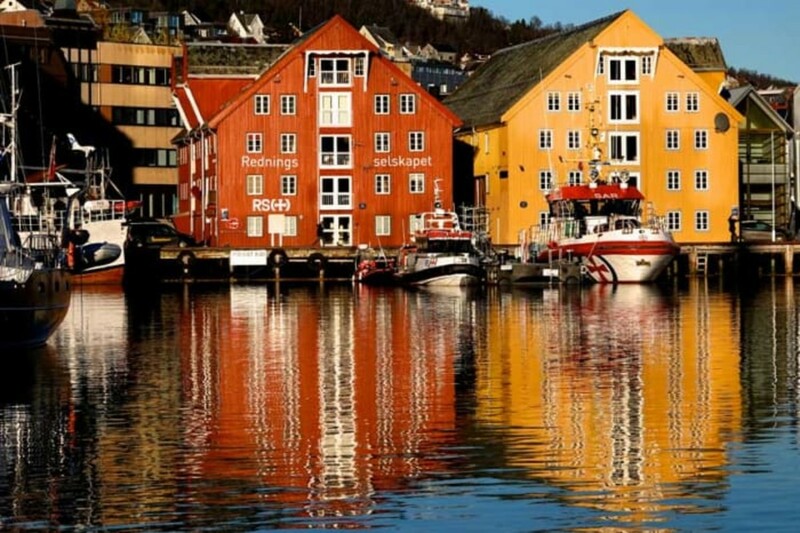 Norway only has 5.25 million people, but there are at least 800,000 leisure craft. Every year, more than 100,000 Norwegians — 2 percent of the population—pay about $120 to be members of the society. It’s a government-supported charitable organization with 280 employees and 4,200 volunteers. If you were to roll the U.S. Coast Guard, BoatU.S. and volunteer first responders into one, you’d get what Norwegians call the Redningsselskapet, or RS. 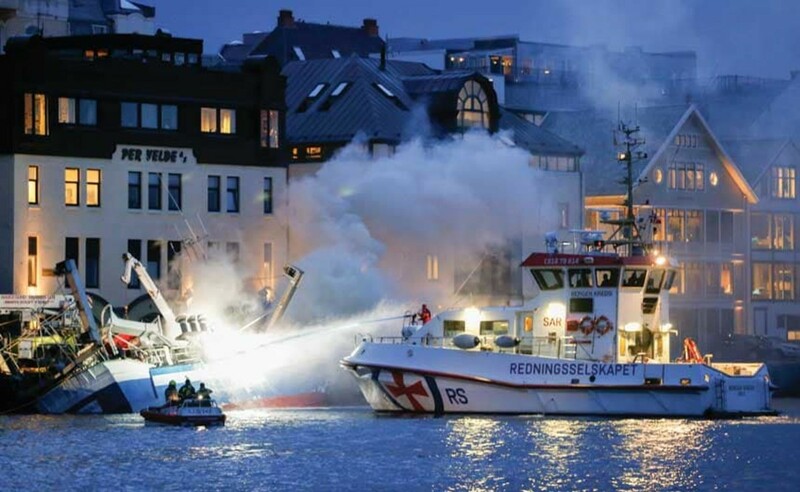 Norway’s military has a Coast Guard, but if your boat catches on fire, the engine quits, you need an ambulance ride across the water, or your boat starts sinking, odds are that an RS boat will come save your bacon. The society has 168 vessels, including 25 professionally crewed cruisers and 25 volunteer-operated skiffs, at 60 stations along the coast and on two of Norway’s largest lakes. One of those vessels is the 66-foot cruiser Oscar Tybring IV. She is based in Tromso, and I’ve been invited to join the crew for a 60-mile night patrol. The Oscar Tybring IV is an older, Skomvaer-class boat. She started life in 1988 as the Ivar H. Bentzen. She was renamed because the RS must always have a boat named for the doctor who laid the foundation for the society after he witnessed a dramatic loss of seamen’s lives outside Smola, Norway, in 1882. Tybring traveled the country and wrote newspaper articles to convince his countrymen that Norway needed a rescue society like those in other European coastal nations. Until then, Norway’s geography, with its many fjords, was considered too large to have adequate rescue service. The first RS rescue boats were built of wood, relied on sail power and were designed by Norwegian naval architect Colin Archer, who supported Tybring in forming the society. Tybring died in 1895. That same year, the RS 8 Oscar Tybring Ilaunched. Designed by Archer, she served until 1937 and is credited with saving more lives than any other RS vessel. In her 30-year career, the fiberglass Oscar Tybring IV has saved 22 lives and assisted 2,431 vessels with 7,530 people aboard. One of her more dramatic rescues happened in 1994 when she was still called Ivar H. Bentzen and Roger Pettersen was already among her crew. That December, for five straight days, a storm raged in the Barents Sea. 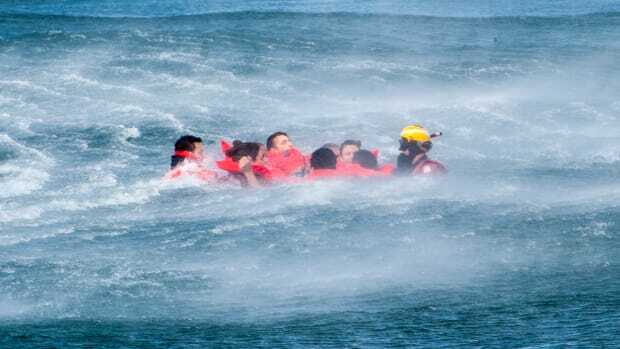 In 30-plus knot winds with 25-foot waves and temperatures below freezing, the Elbrus, an aging Russian fishing boat with eight crew, lost its rudder and started taking on water. 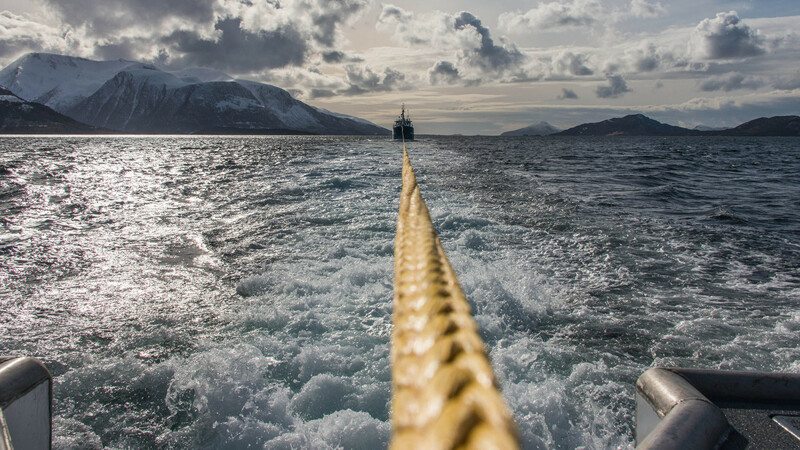 The Bentzen, stationed near the Russian border in Vardo, in the extreme north of Norway, was dispatched to assist the disabled vessel. A Norwegian Sea King helicopter was loaded with a heavy pump and flew to the scene. Aided by the following seas, the Bentzen covered the 32 nautical miles in 90 minutes and reached the troubled trawler before the helicopter. By then, the trawler’s rusting bulkheads had allowed the flooding to spread to every compartment, causing her to list at 45 degrees. When the helicopter arrived with the pump, it was too late to save the Elbrus. Another Russian trawler tried to rescue the Elbrus crew by going bow-to-bow with the doomed fishing boat, but the heaving seas bashed them together so hard that it threatened to sink both. With the Sea King circling overhead and the Elbrus foundering, the fishermen entered their life raft to reach the Bentzen, 150 feet away. But the Russians had loaded their raft with anything of value, including heavy cables. As the fishing boat disappeared beneath them, the raft nearly sank too. 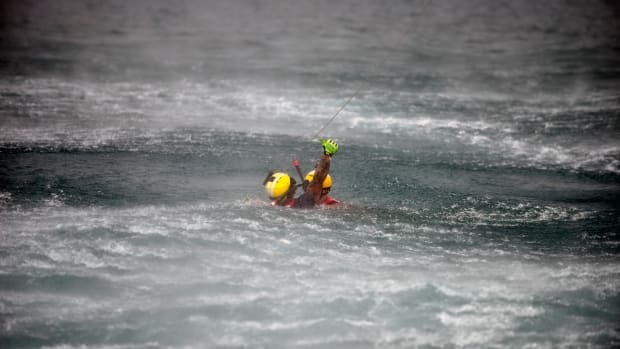 It took 15 anxious minutes before the Bentzen could reach the raft and it was midnight when Pettersen and the engineer pulled the eight fishermen to safety over the rescue boat’s ice-covered stern. 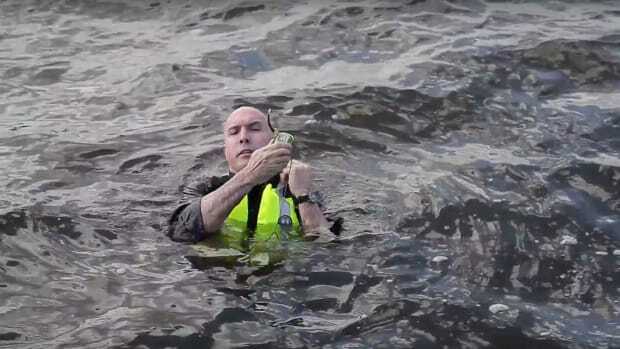 Pettersen hops ashore in Skjervoy. Using a hook, the engineer snagged Pettersen in the right arm. The hook stopped on the bone in his arm and Pettersen spent 25 months recovering from the ordeal. Because minutes matter, boat speed is important for the RS. The Tybring IV is powered by twin 986-hp MAN diesels and capable of 25 knots, but the society’s latest class of boats, the aluminum jet-powered P42 SAR Staff class, can reach 45-plus knots. But it’s not just about boat speed. Because the great majority of rescues involve disabled vessels, towing capacity is highly prized. 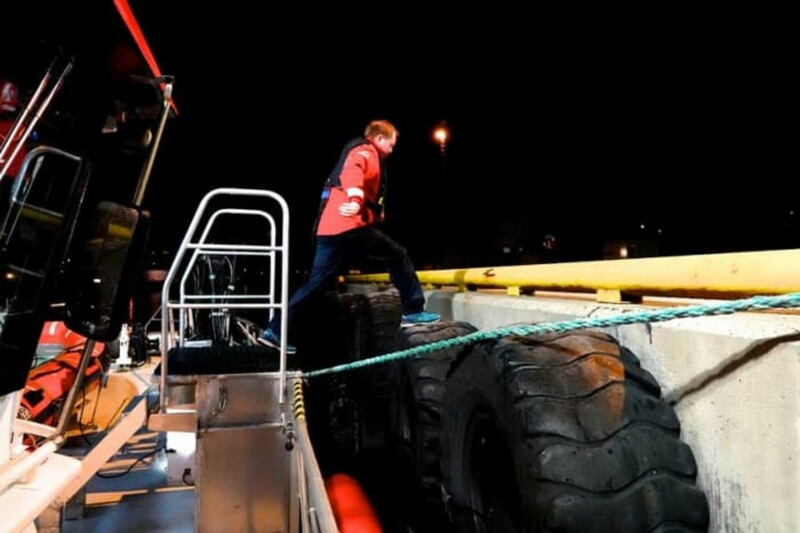 RS rescue boats have kept oceangoing commercial ships off the rocks until tugs could arrive on scene, and every year, RS boats tow a couple of thousand disabled recreational boats and commercial fishing boats to safe haven. On the day of my ride-along, Tybring IV casts off at 6:25 p.m. This time of year, dusk starts around 2 p.m. and lasts for hours. It is calm, and the air temperature hovers around freezing. Hermansen eases the Tybring IV off the dock and into a strait called the Tromsoysundet. A full moon is rising, but it’s still behind the mountains, and the water is pitch-black. Guided by GPS, radar and the lights on shore, we crawl under the Tromso bridge, where Hermansen takes us up to 7.5 knots. Soon, we are joined by the Simrad-class RS 128 Gideon, a volunteer-operated, 10-ton rescue boat that shares a dock with the Tybring IV. At 43 feet, Gideon is significantly smaller, but with twin 870-hp Yanmar engines, she is capable of 34 knots. Like Tybring IV, she sports high-intensity searchlights, firefighting equipment, emergency pumps, towlines, first-aid equipment and FLIR thermal cameras. 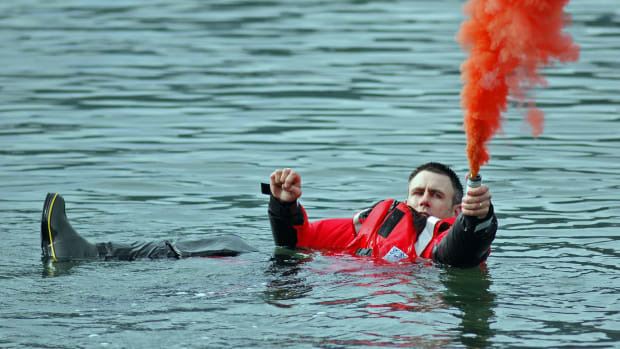 Many RS boats also have trained divers who will enter the frigid water in dry suits to remove lines from props. Fouled props are not an uncommon occurrence in these waters, where fishing is a major industry. 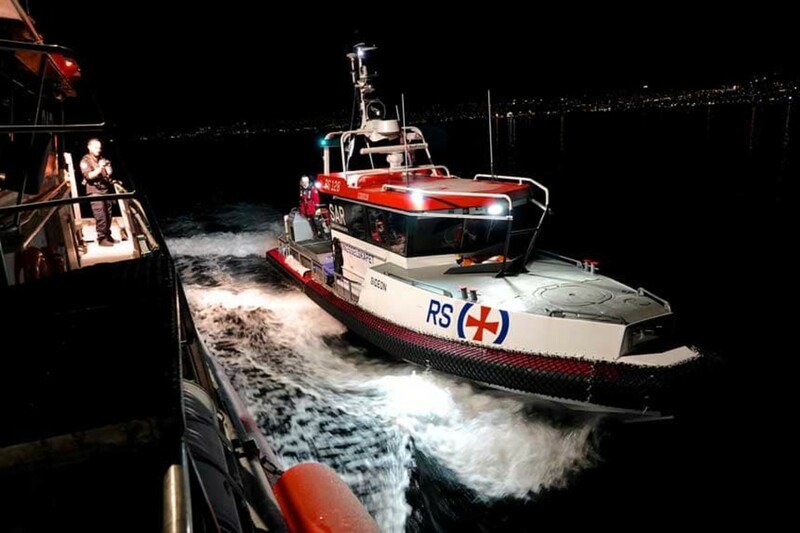 Gideon draws alongside the Oscar Tybring IV during a night exercise. The RS’ goal is to get the boater underway quickly. 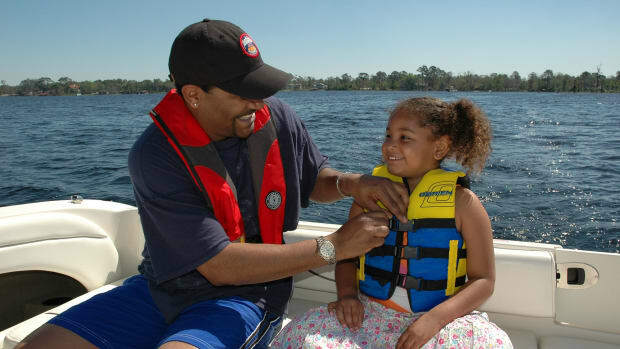 It’s faster and more cost effective to remove a line from a prop or help a boater with a quick engine repair than to take him under tow. It’s also better for the boater, especially when he’s a commercial fisherman who wants to go back to making money. As Gideon pulls up astern and to port of the Tybring IV, both boats switch on their floodlights. Outside, night turns to day. For the next 25 minutes, the boats practice close-quarters operations. Tybring IV holds her course as Gideon closes the gap. She sidles up to and then connects with Tybring IV’s hull as the two maintain speed. No lines are exchanged, but the boats are joined at the hip. While the captains steer, the crews casually chat on the stern. One of Gideon’s crew is a young Norwegian-American who moved to Norway and joined the RS as a volunteer. 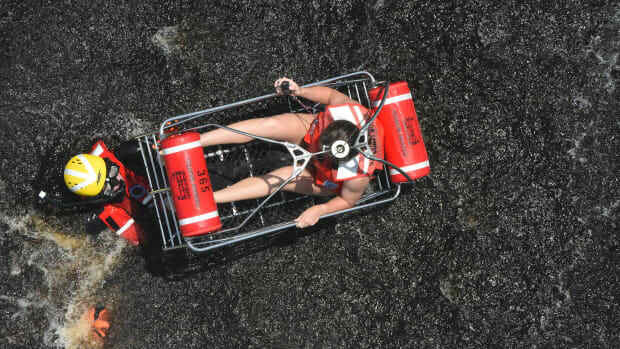 Commercial fishermen rely on the RS for assistance. Gideon pulls away, falls back and repeats the procedure a few times. The exercise ends, the crews say their goodbyes, and Gideon returns to Tromso as we continue north. As the moon pops up from behind the mountains, Hermansen increases our speed. 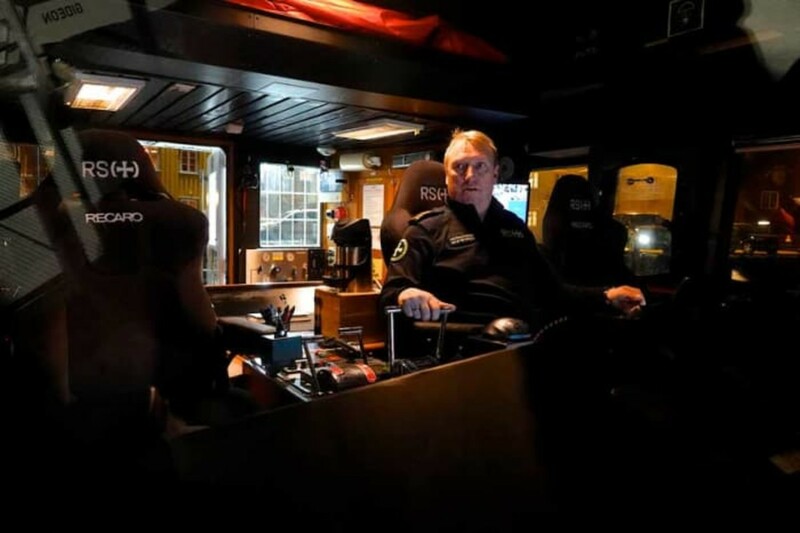 Seated in the dimly lit wheelhouse, Leroy monitors engine functions and fuel burn. Earlier, Pettersen had placed an urn of coffee on the bridge, and with full mugs in hand, everyone settles in for the ride. Within an hour, we enter the Grotsundet strait, where there is a low, slow and steady swell. The Tybring IV’s instruments show that we’re cruising at 21.5 knots, but the wheelhouse is quiet, and it feels like we’re not moving. I look out the window to get a sense of our speed. I see small specks of light at the base of a mountain—a remote home or community. We are definitely moving, but without looking at instruments or an outside reference, the vessel’s progress is imperceptible. As we enter the Ullsfjorden, the Lyngen Alps appear off to starboard. Tall and dark, they rise straight out of the water. At night, despite the early snow on their peaks, the range looks foreboding. 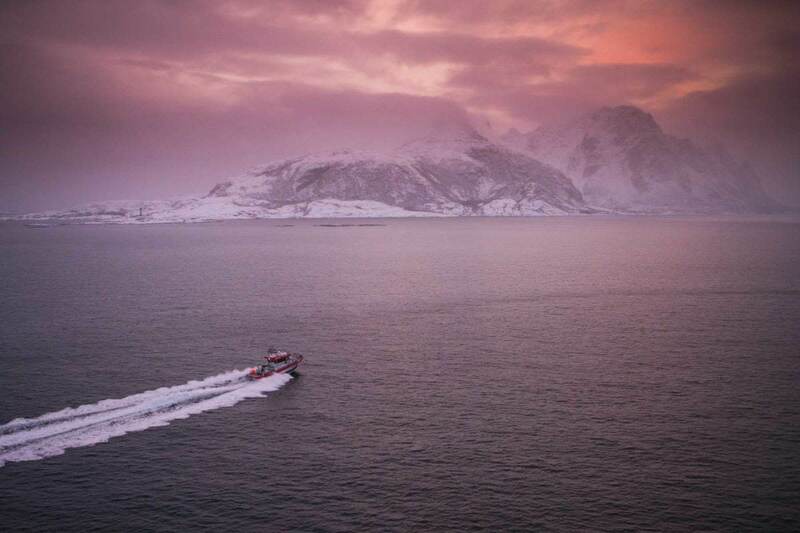 Extreme skiers will charter liveaboard boats in Tromso to reach these slopes. But before any ski adventurers can ride the Lyngen Alps, they have to climb them. I don’t question their passion, but looking at the sharp, jagged peaks, I do question their sanity. To pass the time, the crew engages in lighthearted banter. Pettersen joined the RS 28 years ago, when the fishing industry took a downward turn. Leroy is in his 20s. 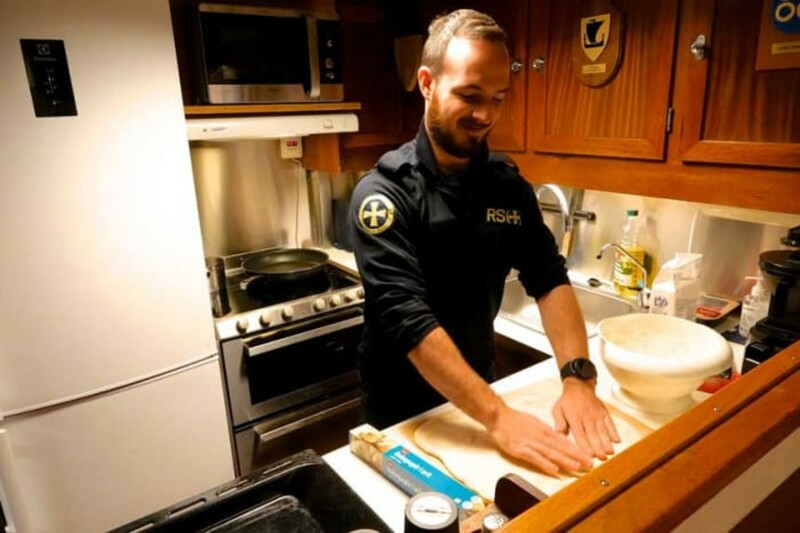 He graduated from maritime technical school, spent time on oceangoing ships before joining the RS, and has been aboard Tybring IV for six months. His girlfriend is an officer aboard a ship off the coast of Nigeria. Hermansen is authoritative and businesslike, but not afraid to chime in with an occasional wisecrack. He breaks into a hearty laugh when someone fires off a good line. Every year, the RS tows a couple of thousand disabled vessels to the nearest port. 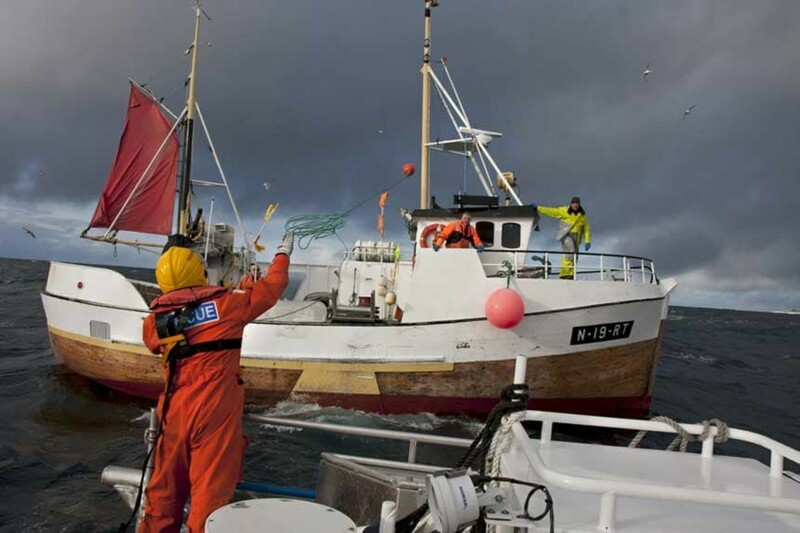 Like his first officer, Hermansen also came to the society in the 1990s, when the Norwegian fishing industry entered a bad spell. 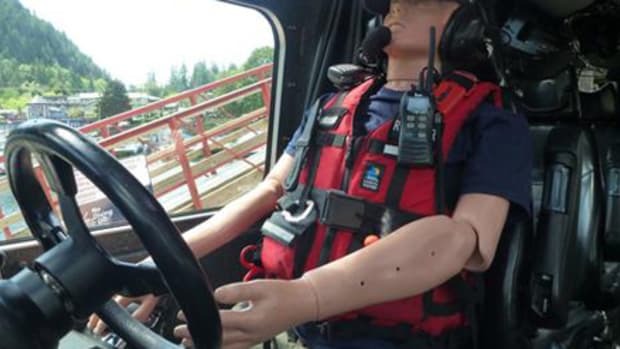 Seeking a steadier paycheck, he joined the RS and worked his way up to captain. “Right now, a cod fisherman can make $200,000 per year,” Hermansen says. “I wanted to try something new. I make less money, but I have more predictable working conditions.” After being stationed around the country, he was eventually assigned to Tromso where he lives with his family. Pettersen started as a cook, a position that was eliminated as boats and crews got smaller. He then worked his way up to first officer. Two hours into the ride, the high-speed ferry overtakes us to port. The AIS shows it moving at 31 knots. We pass between the islands of Arnoya and Kagen, and Leroy spots the northern lights. The two of us don lifejackets and step out on the stern to take in the aurora borealis. The endless mountains and green streak across the sky make me feel small. Neither of us speaks. Eventually, the cold drives us back into the wheelhouse. The moon disappears behind the mountain to our south. Its peak looks like it’s on fire, but the passage ahead of us looks dark and narrow. “We just passed 70 degrees north latitude,” Hermansen says. I mention that I have never been this far north. “This is my first time too,” Leroy says. It is the same latitude as Prudhoe Bay, Alaska. Firefighting is one of many RS capabilities. Thus far, we have been sheltered by islands, but as we leave the protection of Laukoya, we begin to feel the rising swell rolling in from the Barents Sea. It’s not uncomfortable, but I steel myself for worse conditions. They never come. Hermansen aims the Tybring IV just beyond the northern end of Skjervoya, steers around the tip and heads south for its harbor. What appears ahead of us looks like a scene from Game of Thrones. The island appears dark and uninhabited, but as we proceed southward, we see one light, then more. Soon, a sleepy town appears around the perimeter of a well-protected harbor. At 9:22 p.m. we enter, as a small fishing boat heads out to sea. Hermansen steers us to the fuel dock, where Pettersen and Leroy tie up the Tybring IV. I manage to make it from the tire onto the fuel dock without going for a swim, but I almost wipe out on the dock. It’s cold. I can see my breath. I shuffle toward Pettersen, who introduces me to Stig Traeten. With his cap, handlebar mustache and stoic demeanor, Traeten seems straight out of Norwegian central casting. He gives me a friendly greeting and asks what brings me to Skjervoy. After topping off the tanks, we motor across the harbor to tie up for the night. Pettersen jumps ashore to retrieve the docklines, but he finds them frozen to the dock. A few swift kicks with his foot releases them. He feeds the springline to Leroy, but the line maintains its twisted state. Leroy beats it into submission on the deck, straightens it out and ties off the boat. Shore power is connected, and Leroy goes down into the engine room. It has to be maintained between 85 and 105 degrees Fahrenheit so the engines are ready for an emergency departure, when minutes matter. “We have stories of the captain in his underwear in the wheelhouse,” Hermansen says, as he sniggers at the vision. The engines are shut down, and the boat is secured. It’s after 10 p.m. when everyone heads below. Pettersen serves a hearty dinner of fried bacon, eggs, bread and sliced vegetables. I look for a nice drink, but then I see the milk bottle. This is a dry boat. 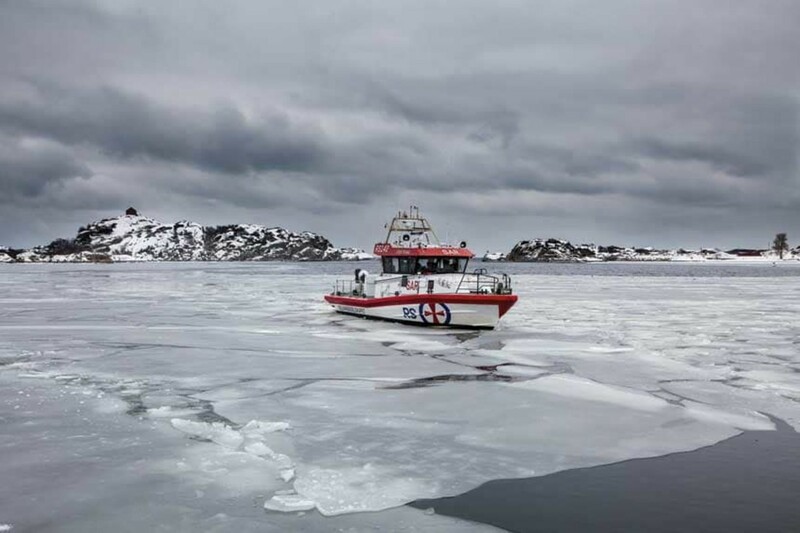 Sea ice is another hazard boat crews face. After dinner, Pettersen drives me to the society’s rental apartment, which is normally used by crews of smaller boats that lack sleeping quarters. Since there are only three cabins on the Tybring IV, I will bunk ashore and walk back to the boat in the morning. I wake up at 6:40 a.m. to multiple text and voicemail messages. They’re all from Pettersen. I chuckle at the thought of walking back to Tromso, but Pettersen explains I will need to walk to the fast-boat station on the other side of the harbor. I grab my bag and walk through the quiet town. At 7:45 a.m, the high-speed ferry casts off from Skjervoy with a half-dozen passengers. By 10 a.m., I am back in Tromso. Late the next day, the Tybring IV returns to her dock in Tromso, where I learn what happened two nights before. After sleeping for two hours, Hermansen received a call that the Tor Werner, a 42-foot shrimp trawler, had lost power. 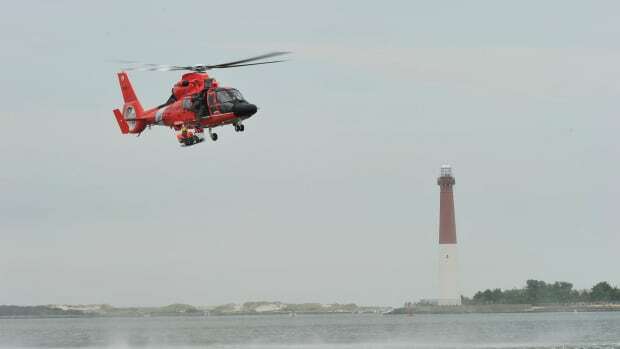 The crew sped two hours to the south and located the commercial fishing vessel. Unable to get the shrimper’s engine running, the Tybring IV towed her three hours to the nearest port. The crew then returned to Skjervoy and pulled into the harbor as my ferry departed for Tromso. While I was snoozing in my cozy island bed, the Tybring IV’s crew was working through the night, living up to the Redningsselskapet motto: None Shall Drown.